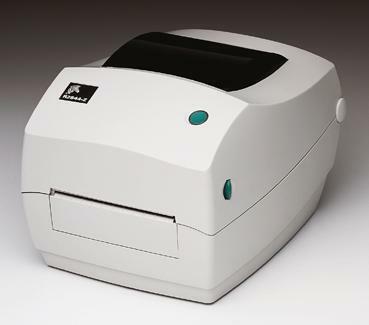 Fulfilling the need for a compact RFID printing solution that can encode smart labels at the point of use, the R2844-Z passive printer/encoder is one of the most versatile in the industry! Designed for printing and encoding smart media such as wristbands and smart labels, the R2844-Z meets the needs of applications requiring greater processing speed and more connectivity choices-such as standard serial, parallel, and USB ports and optional internal Ethernet. It also offers the widest range of supported 13.56 MHz HF RFID transponders. R2844-Z is the ideal solution for low-volume desktop applications, including express parcel delivery, library book/video check-out, sensitive document tracking, supply chain management (source tagging), ticketing (sports, concerts, etc. ), and pharmaceuticals. R2844-Z DT/TT 4.09" 4.25" 203 2 - 4 IPS 5" 1"